Disclaimer: I'm not a professional so if this causes any harm to ANYTHING it's your responsibility. I put some 2009 C6 Corvette rims on my 1988 C4. The front rims are 18" and the rear is 19". You lose some width in the front, and the back isn't that much bigger but you need to change the offset. I got "Adapter - Hub & Wheel Centric Corvette, 5x4.75 70.3 12mm1.5 Studs/nuts 30mm thick"
The spacers bolt right on with no stud modification. Torque setting from the 1988 C4 book is 80 ft-lbs and you use that on the spacer and new rims. You should retorque after 5 miles, and then after you retorque the spacer, drive ANOTHER 5 miles and retorque the rims. So that involves taking the rims off an extra time, but the second time checking the torque just takes a few minutes. Of course, read all directions appropriate to your application from all relevant parties. 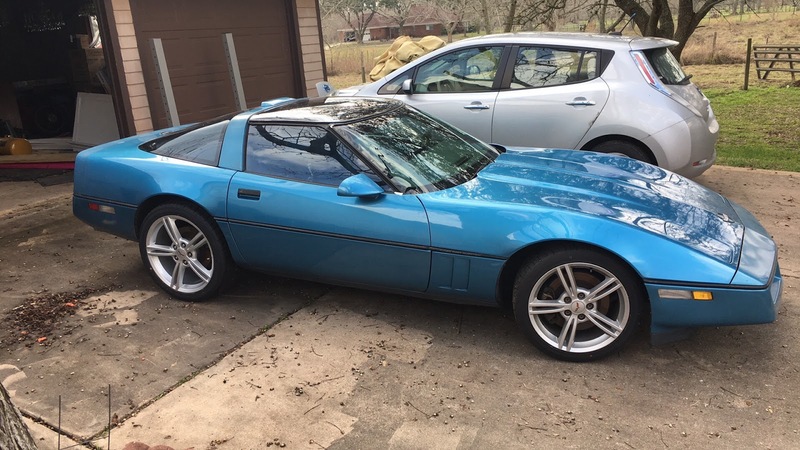 Need something C4 Corvette related? Visit this link to thank me: http://amzn.to/2kFsp1d or you can bookmark amamzin.com and use the search box there for ANY Amazon purchase. Why did Skynet attack as soon as it was brought online? The drones (HKs) and Terminators (T-1's) appear to be basically almost beta. There's that scene where the little HK is tethered still and not flying on it's own. So, why not wait until the hardware is further developed willingly by the humans before attacking? From that moment on, Skynet would have only had more and more advantage by getting smarter, embedding itself in more things, and having better attack capability. So why not hide and wait?